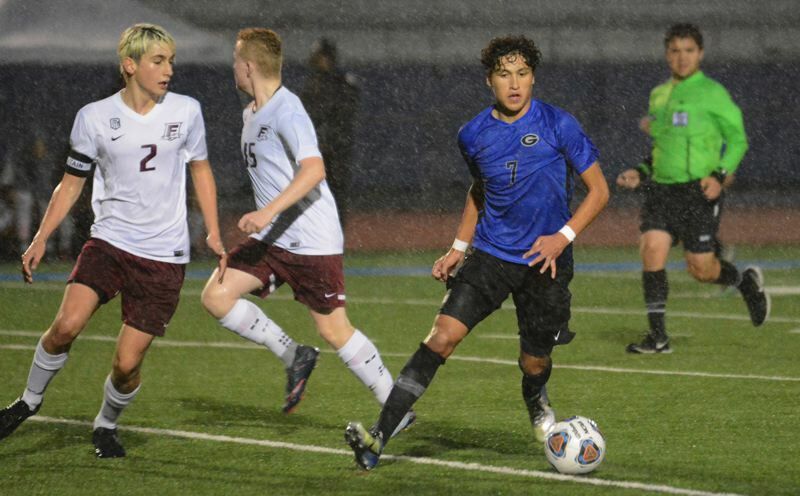 The Gresham boys soccer team came out firing on their way to a 3-1 first-round playoff win over Franklin on Saturday night. Gresham got on the scoreboard six minutes into the match when Daniel Ruiz played a ball out of the midfield that put teammate Andrew Nunez on a breakaway. He beat the keeper with a low ball into the right side. A few minutes later, the two teammates flipped roles with Nunez making a run into the corner before centering the ball to the near post for Ruiz. Franklin goalie Gael Salas-Lara came off his line feet first to knock the pass off target, but the ball rolled to the feet of Gresham's Gabe Fuerte, who was quick to hit a shot into the open net for a 2-0 lead 15 minutes into the game. "We did a great job getting into our rhythm and playing fast," Gresham coach Rex Moffitt said. Joel Gonzales scored an insurance goal with 15 minutes to play. The No. 8-ranked Gophers host Pacific Conference runner-up Forest Grove in the second round at 6 p.m. Tuesday.